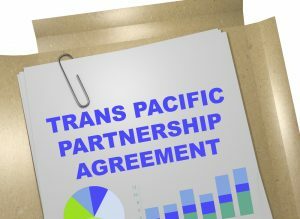 The Trans-Pacific-Partnership (TPP) replacement that does not include the United States will take effect at the end of this year. Australia and Canada filed ratification documents this week for the Comprehensive and Progressive Agreement for Trans-Pacific Partnership, kicking off a 60-day waiting period before the agreement takes effect, as now six countries have ratified the deal. President Donald Trump removed the U.S. from the agreement upon taking office, opening a new era of trade policy for the U.S. focusing on bilateral agreements and aggressive negotiations. The Wall Street Journal reports backers of the agreement say it may be the most important trade agreement reached in more than two decades, modernizing agreements to reflect the rise of digital trade, services and copyright in a fast-growing region. The trade deal puts U.S. agriculture at a competitive disadvantage as it phases out ties on sensitive products such as agricultural imports in countries including Japan and Mexico.